11 year dispute circumvented by Religious Affairs Ministry, agricultural community chief rabbis will serve in new model following requests. 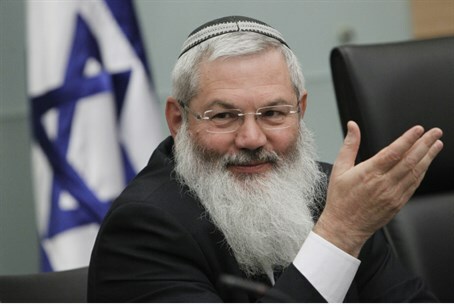 Deputy Religious Affairs Minister Rabbi Eli Ben-Dahan is advancing a process by which chief rabbis will be appointed to agricultural communities, including kibbutzim, for the first time in 11 years. "We are today completing the revolution of Jewish tradition among the agricultural communities," commented Ben-Dahan. "We received almost 200 requests from moshavim and communities that are interested in deepening their connection to the tradition of Israel." For the past 11 years, chief rabbis have not been appointed to the communities due to a dispute with the Justice Ministry and the Finance Ministry. That dispute was resolved by Ben-Dahan in the recent weeks by using a model unlike that of city chief rabbis. The new model is different in that rabbis are required to submit reports, and are appointed by representatives of the communities. The rabbis of the agricultural communities will need to report monthly regarding vacation and sick days, and once every 3 months on the Jewish religious services they provided in that period. This model is unlike that in other locations, where such reporting is not required. Ben-Dahan's office further defined the services to be provided by the rabbis, including spiritual leadership for the various elements of the community, participation in prayers and public events, answering halachic (Jewish legal) questions, and guiding life cycle events. "With G-d's help we will appoint 50 rabbis in the moshavim and regional councils in the first stage, and they will give classes deepening Judaism and connecting with the community they will serve," announced Ben-Dahan. The new appointments are seen as particularly meaningful given the traditional opposition to Judaism among part of the kibbutz movement, that originally was rooted in socialism. For example, last October the kibbutz movement discussed changing the nationality on their identification cards (Teudat Zehut) from "Jewish" to "Israeli." One kibbutz in northern Israel, Ma'ayan Baruch, was reported last February to be refusing demands of residents to build a synagogue. The move comes amid Ben-Dahan's efforts to organize the appointment of rabbis. Last week, with the agreement of the Chief Rabbinate and Israeli Rabbinate Union, he sent a memorandum seeking to establish a council that would clarify how rabbis are fulfilling their roles, and replace those not meeting standards. Ben-Dahan hailed the new chief rabbi positions as part of a larger improvement of religious services. "This is the result of months of intense work by the diligent workers of the Religious Services office," noted the rabbi. "We are expanding the religious services beyond the large cities in the center of the country to settlements in the Negev, the Galilee, and in Judea and Samaria."